Learn fundamental tools and techniques to explore arm balancing with more ease. In this class we will go over postures like side plank, crow, and handstand. Breath and energetic holds will be discussed and practiced in an approachable and relatable way. If you feel intimidated yet slightly inspired by arm balances this workshop is perfect for you! In conjunction with Nature Yoga teacher training. Space is limited, register early! 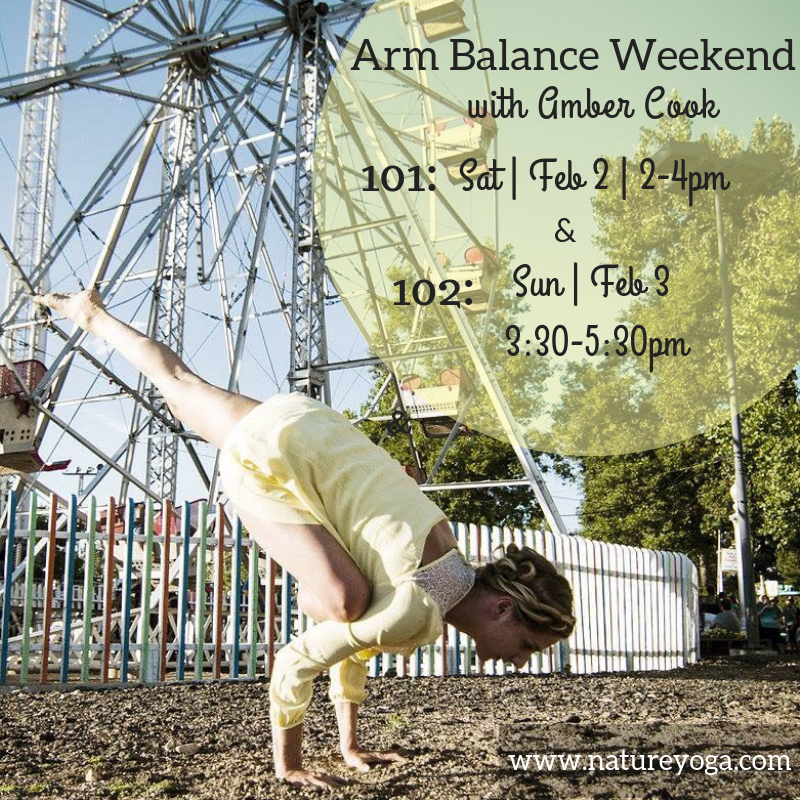 Make it a weekend workshop and register for Arm Balances 102 as well!